Here’s a question that perplexes many plaintiff’s attorneys. I hear it all the time. Why do doctors take medical malpractice so personally? Why do doctors treat medical malpractice differently than being in an auto accident? Shouldn’t we just turn it over to our carriers and be done with it? I don’t think myself the worst driver if I get into a fender bender. I just turn it over to my auto insurer. Next, the subtext is that you will be tried by twelve lay-persons who know little about medical care – and your future will be tied to a theatrical battle of experts lasting about 4-5 years. And the outcome might very well cost more than policy limits – putting your entire nest egg at risk for ruin. You will spend a great deal of time preparing for and in depositions – time you could be earning revenue and taking care of patients. You are told not to talk about the case. It’s stressful to hold matters such as this inside. 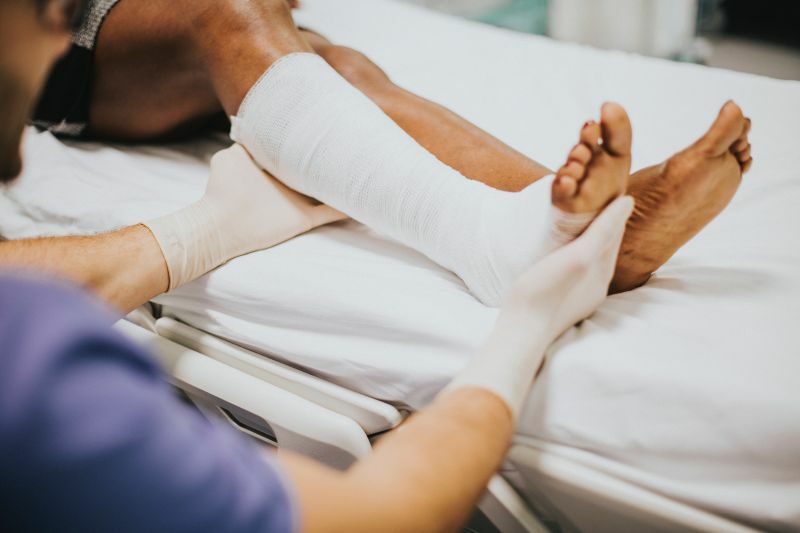 You will learn that medical malpractice settlements and judgments correlate more with the amount of injury as opposed to likelihood of negligence. In other words, death, stroke, loss of limb – high likelihood of payout. You will have to explain your record every time you apply for licensing and privileges. Settlements and judgments now appear on many state licensing board web sites. Settlement and judgments are posted in the National Practitioner Data Bank. You may hear an expert deliver testimony that has never been uttered before. And a jury might find his delivery credible and compelling. Against admonitions from a judge, jurors might visit various doctor rating sites to see what other patients think of you. Do they rate you as an arrogant, uncaring person who never listens? Or do they say they are thankful you got out of bed at 2AM to save their mother. Think this doesn’t impact a jury’s decision? I think it does. If you are a doctor in a high-risk specialty, there is a 99% chance you will be sued over your career. Recently I read of a doctor who took a med-mal case so personally he committed suicide. Am I surprised a doctor committed suicide over a lawsuit? No. Was he predisposed to depression? I don’t know. But, I know what the law says. It’s called the eggshell theory. You are liable for the patient as you find him. If his skull was as thin as an eggshell, and you negligently cracked it, you’re liable. It doesn’t matter that the same force wouldn’t have dented a normal skull. Likewise, many doctors experience depression for all sorts of reasons. But, the med-mal system IS a contributor. So, I close where I began. Most doctors take a medical malpractice lawsuit personally for good reasons. I’m more surprised plaintiff’s attorneys are surprised. What do you think? Click here to submit a comment and join the discussion. You’ll receive a confirmation message upon submission. If you do not find this message immediately, please check your junk box. Your confirmation email will contain a brief message from Dr. Segal, who will review your situation and determine whether Medical Justice can assist. Afterwards, our team will contact you to schedule your consultation. We take it personally for all the reasons Jeff so eloquently states. From the service of process (claim) to the statement of claim, to interrogatories, to requests for admissions and production of documents, to deposition, to mediation or arbitration, to court examination, and even beyond, every step of the process is designed to be as intimidating as possible, feeding off the well-known tendency of almost all doctors to be obsessive-compulsive, conscientious perfectionists with an exaggerated sense of responsibility and guilt from a very early age. To a typical physician, a claim of malpractice is a wound to the heart, not the pocketbook, and the entire med-mal system of compensation is designed to rub salt into that wound. To us, it is NEVER just business. If it were, we could much more easily transcend it. There is only one thing, in my opinion, that is even more intimidating than a claim of medical malpractice, and that is a claim of unprofessional conduct by a medical licensure board. And that is because you will be judged by a jury that could be assumed to be your peers (even though a fair number of board members are either not physicians or not practicing physicians), who at any rate are vested by your state or province with the right to terminate your license, and thereby your practice. No state or province has yet demonstrated any form of supervision of medical licensure boards, so these bodies basically function autonomously, and courts generally grant them sovereign immunity. So there is often not even a viable means of appeal. But that is a story for another day. I have been studying these phenomena for over three decades. I would encourage any physician who is facing either malpractice or licensure challenge to get all the education you can, and of course all the legal protections you can possibly access, including of course Medical Justice coverage (if you have not already subscribed). In fact, I think you should prepare yourself for the high likelihood of bad outcomes quite early in your career, because unless you are incredibly lucky or don’t ever see patients (alive or dead), something untoward will happen to one of your patients sooner or later. An excellent place to start is with Charles and Frisch, “Adverse Events, Stress and LItigation” ( http://amzn.to/SaraCharles ). Charles still maintains an excellent website entitled Physicianlitigationstress.com ( http://bit.ly/Charlessite) And I maintain two related (free) websites, http://www.MDMentor.com ( http://bit.ly/MDMentor) and http://www.physiciansuicide.com (http://bit.ly/Black-Bile). I was a victim of a malpractice case that was gratuitously brought against me. I saved the life of a newborn, successfully intubating and resuscitating the baby when no one else could intubate the baby. The baby at that point had never breathed 20 minutes after delivery. So, for having saved the baby’s life I was sued, because I was in the room. Was it right? No. Was it fair? No. I lost 3 years of my life to this travesty, losing countless amounts of sleep thinking and thinking about what else I could have done. Our society needs a no fault system, where if a three physician panel blinded to outcome (to avoid outcome bias) decides malpractice was committed, compensation for lost wages, and costs (no pain and suffering awards), is awarded from a system. No attorney’s required. Much cheaper than malpractice cases. Lower malpractice premiums will result. Patients will not retain the right to sue. This will be a closed system that attorneys are barred from. That is the only way the system will be inexpensive and fair. So what is your plan? How are you going to achieve that no-fault system? Wishing and hoping won’t make it so. Only if doctors act together to share our pain with the public will they even know there’s a problem. Here’s my suggestion for our profession’s reaction to the injustice inflicted on you by a callous, greedy public–stop taking care of their sick babies for a week. Think I’m cruel? Tell me your alternative strategy. Our medical societies’ half-hearted nibbles around the edges of the problem over the last five decades have gone nowhere. We doctors allowed ourselves to get to this degraded and demoralized state. Only we can dig ourselves out. But it will take some guts and some determination. 100% correct! I don’t care what the current or past professional dilemma physicians as a whole or as a part have faced, we are without a doubt the most divided , unorganized, and seemingly “spineless” cohort that I can surmise! Me included! Despite the fact that I and others have organized efforts to stand up to lawmakers , plaintiff lawyers, or even our own medical boards, this problem exists for nothing more than simple sociological rules of the masses. Sure, many of us live to pontificate, and some of us actually try to change the system. However when it gets down to it, nothing changes because we as a group are too heterogeneous to really stand up, be counted, make a stand and truly do or not do something in order to change our destiny. Those in favor of socialized medicine have no idea what they would be in for. In addition to the subsidization of the cost medical education by the government, there is no malpractice. Well, there is, but suing a doctor is tantamount to suing the government, and good luck there. In addition, as Retired suggests, there is a tribunal of physicians (true peers) who reviews the cases and asks themselves one question: was there deviation from the standard of care? If the answer is no, then as Ariana Grande would say (I have a pre-teen daughter), Thank U. Next. I am willing to guarantee that no American would ever give up their right to sue, even if it meant universal health care, and that no F’in trial lawyer in congress would ever allow such legislation to pass. 15 years ago, I suggested that if every doctor in America threatened to close their offices for one day, America might listen. 1) I was laughed at, 2) doctors would never unite in such a fashion, 3) those who did would be vilified and hung out to dry, leaving the other vultures to pick up the pieces. For these and many other reasons, I left the practice of medicine during what should have been my peak earning years. I was lucky to have a way out, but in our current state, doctors will always be the punching bags of society, because, as CA MD correctly notes, we have allowed it to happen, and now the whole world knows that we are prisoners of our own ethics. The cost of medical care per capita in the US is more than twice that of any other country .Does any one wonder why? Most lawyers regard medical malpractice cases the same as their other actions: “Just business.” That is why attorneys don’t make any connection to the destruction these attacks cause their targets. Attorneys have a collegial connection between each other. Bitter legal adversaries will scream at each other but have a nice lunch together after court adjourns. It’s amazing to see. I think doctors have to harden themselves to these threats. But this is a multi-pronged effort, which includes much more political action against regulators. This means keeping progressives and Leftists out of power as much as possible. The other part of this equation is to SAVE and invest to bring about early retirement from medicine. But you also have to include your spouse in this metric, avoid excessive spending and family entanglements. Surgeons can reduce their own stress by AVOIDING controversial and difficult cases as much as possible. This also applies to non-surgeons. I knew an internist who gave a patient with psoriatic arthritis methotrexate and the patient died from an aplastic anemia. Doctors can avoid potent medications as much as possible, reducing their own management stress levels. There is the apocryphal story about the famous Democrat legislator who is the head of the Congressional committee that has authored hundreds of legislative actions against doctors. His grandson suffers a head injury in a skateboarding accident when the child was not wearing a helmet. The legislator meets his family at the ER and DEMANDS the best trained and most experienced neurosurgeon attend his mortally injured grandson, screaming at the hospital administrator. Somehow the connection here is missed: When you attack doctors; you are also attacking society. Perhaps this seems radical, and it may not be true, but once exposed to that visceral feeling, can a sued physician ever recover? We now feel that we are every day reliant upon the kind nature of a multitude of people with whom we interact NOT to be sued constantly. And then, if there is precious little kind nature remaining in our litigious society, what hope is left for a meaningful life as a doctor? I have been down this road. It is a dark place. The fact that plaintiff attorneys are surprised is largely due to the fact that the core value system of a physician is to help others. Their gratification solely comes from the intangible benefits of make other people feel better. Plain and simple. Alternatively, plaintiff attorneys live in a place with the perception that the world is essentially working against its clients….no personal responsibility nor benefits provided and at the detriment of others. Absolute absence of self-awareness, compassion, and even ethics at times. So, no reason to be surprised. They often have no soul.